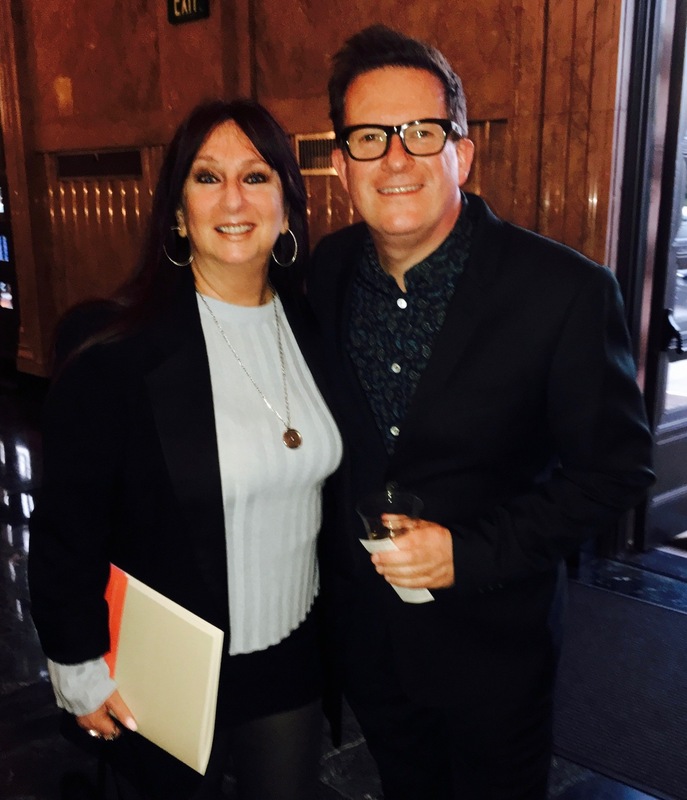 Having the privilege of seeing Matthew Bourne’s Cinderella at the Ahmanson on its opening night made me feel like I’m one of the lucky citizens who received the invitation to the Ball! The bottom line to my whole lengthy-but-glowing review here is that any Angeleno who doesn’t hie him-or-her-self straight over to see this magical theatrical experience is an absolute twit! Even if they’ve seen it before. The impressive pre-show curtain, setting the scene for Matthew Bourne’s Cinderella at the Ahmanson. Photo by Karen Salkin. I saw this modern ballet when it was here in L.A. the last time—twenty years ago!–and am thrilled that it returned. 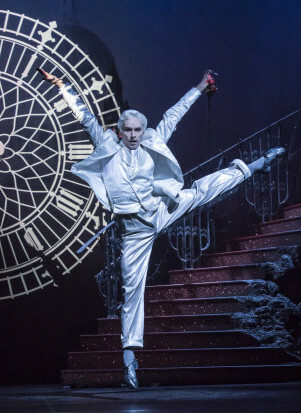 I’m so happy to share it with Mr. X this go-round, now that he’s also a fan of Matthew Bourne’s glorious choreography! Karen Salkin and Sir Matthew Bourne at a previous meeting. Photo by Mr. X. As much as I love this ballet itself, the absolute highlight of my night was running into the amazingly talented Matthew outside before the show, and finding-out that he remembered me! He even told me that our mutual friends who had introduced us two years ago were inside already! Photo by Johan Persson, as is the one at the top of this page. As I stated, I saw this same ballet two decades ago, and I have to admit that, after the color and pageantry and robust, powerful dancing of the mostly-male Swan Lake, (the first and only other Matthew Bourne show I had ever seen at that point,) I was a tad disappointed with this semi-depressing saga back then. But now that I’ve seen everything of Sir Bourne’s that’s been on offer in LA through the years, I came at this incarnation of it with a whole different mindset, and with much excitement and anticipation. And…I loved it this time! I knew of the change in setting going in, and that the male in question is an injured RAF pilot, as opposed to the usual prince. 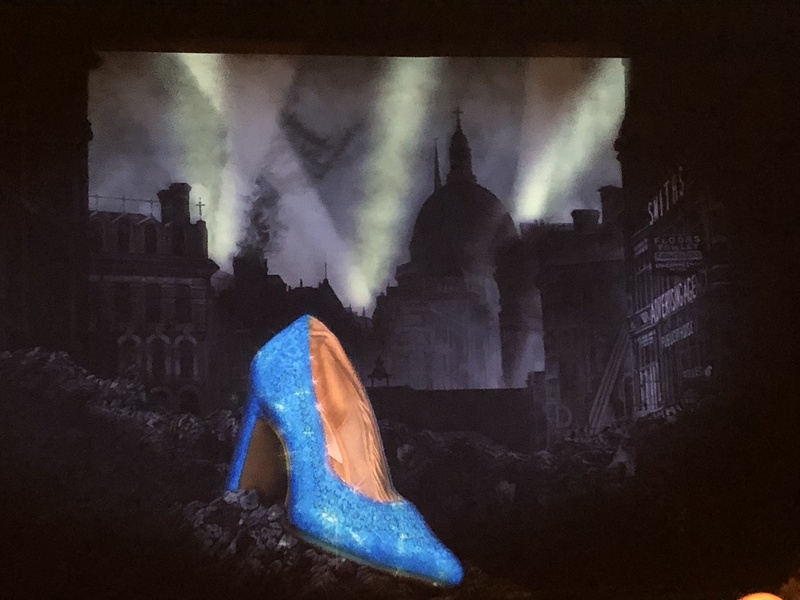 But no worries—there’s still sparkling footwear, an evil step-mother, Cinderella, and her true love, of course. But, as always with New Adventures, there are a few twists, such as a male Angel rather than a Godmother, and three step-brothers, who each has his own personality quirk, (which I’ll leave you to discover for yourselves,) rounding-out the siblings. Ashley Shaw and Andrew Monaghan. Photo by Johan Persson. 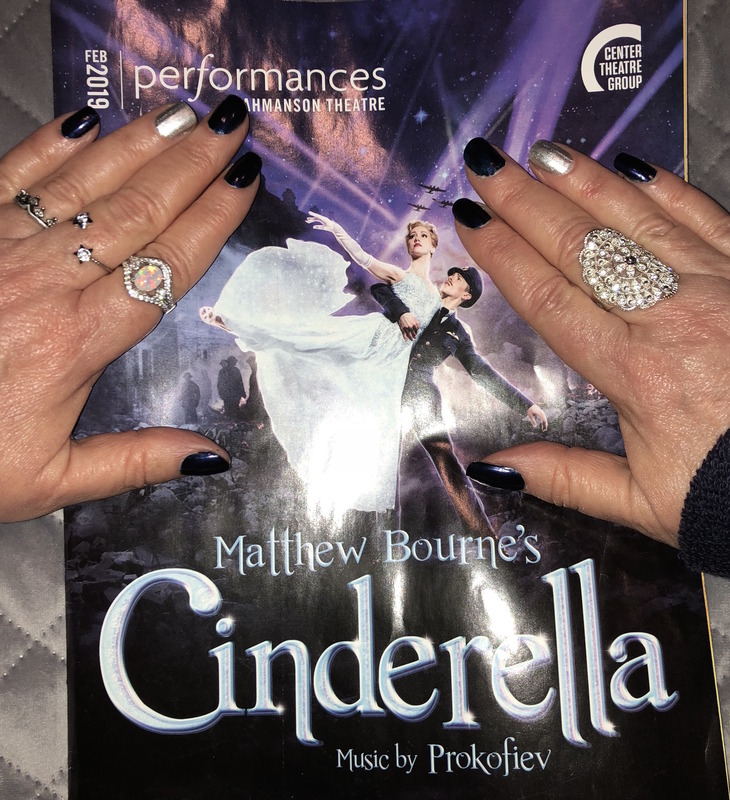 Since Matthew’s works always feature not only new choreography, but whole new innovative takes on the basic scenarios, I do have to admit that I didn’t understand what was going on at all times in war-time Cinderella. (At times, I didn’t know if the lovers were having an Enchanted Cottage moment, or if, as in the fairy tale, their physical attractiveness was based in reality.) But it really didn’t matter. 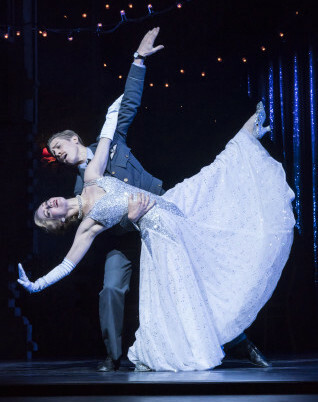 I was riveted to the stage and enthralled by it all, every step and pirouette of the way. And, as in all Bourne creations, there is much humor, which I adore. In addition, there’s often so much happening in each scene that one would have to see a specific work multiple times to take in every nuance, which I would not mind doing at all, actually. 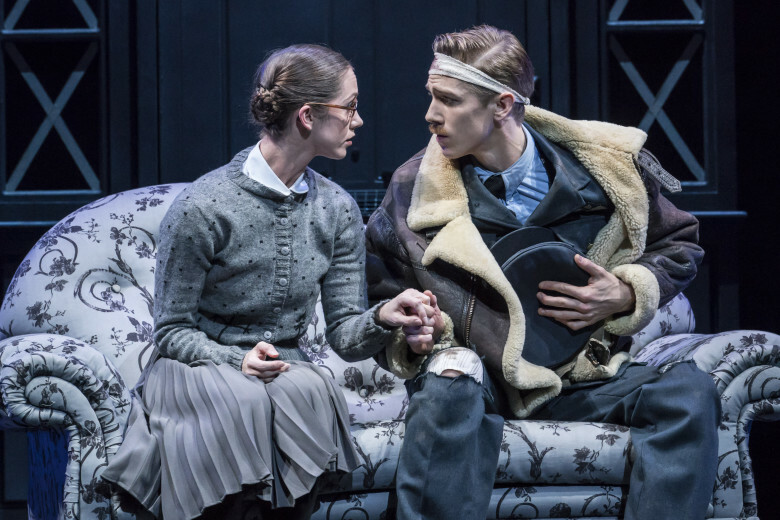 And even with all that going on, Mr. X said, “That’s the magic of Matthew Bourne—he knows how to focus your attention on what matters most,” even in the scenes with lots of people and activity. I’m so glad that I got to see my two favorite New Adventures dancers on opening night, along with some newbies to me. Liam Mower. Photo by Johan Persson. Mr. X and I first fell in collective love with Ashley Shaw when she brilliantly danced The Red Shoes here last year, and that romance continues. 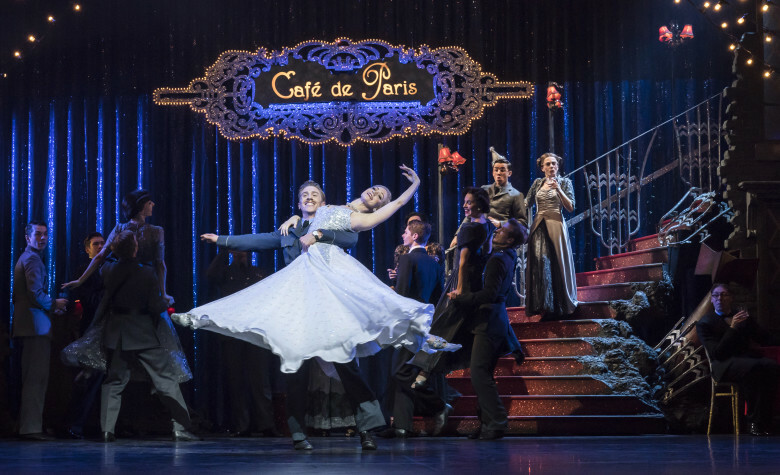 We were blown away by her once again, even though her Cinderella choreography is much more subtle than that of Vicky Page’s at-times-frenzied (in a great way) steps. Also of note is the striking and stunning work of Liam Mower as The Angel; he just about took my breath away at times. 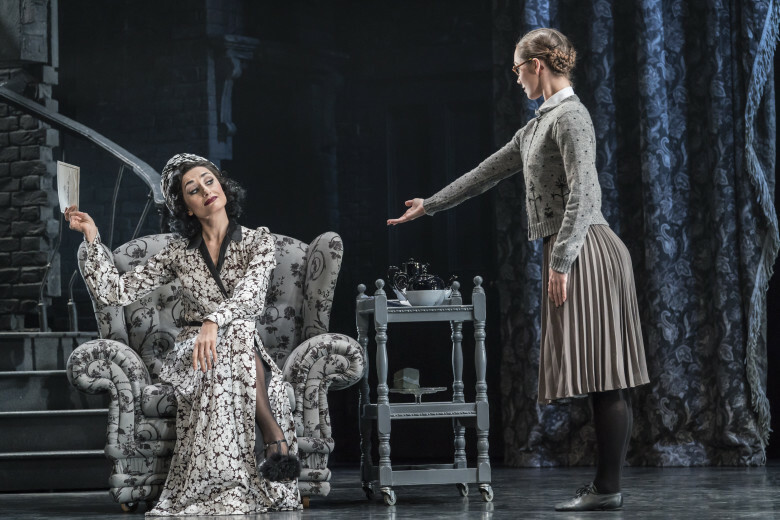 Stepmother Madelaine Brennan’s comic relief as the villain is a major highlight of this production. And Andrew Monaghan as The Pilot, who not only has to dance as both injured and healthy, but also as a mannequin version of himself, is equally convincing as all of them. But to see Alan Vincent after so many years was such a supreme pleasure! When I noticed beforehand that he was sharing the role of The Father, I was just praying that he would dance it on opening night. 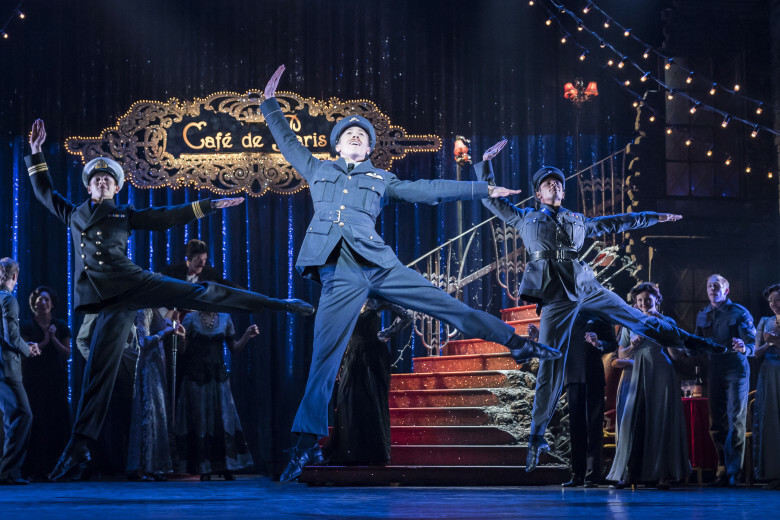 I had first gone nuts over him when I saw him on this very stage many years ago, dancing the lead in Matthew Bourne’s Car Man. 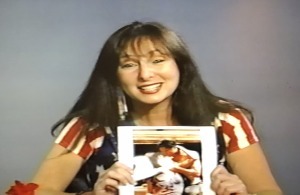 Karen Salkin, showing her doctored Alan Vincent pic on her former televison show. Photo by…Karen Salkin! 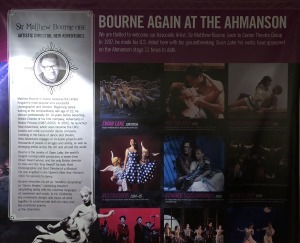 And the original showed-up in this giant poster on the wall of one of the side lobbies of the Ahmanson! Can you spot it? Photo by Karen Salkin. Karen Salkin on her TV show back in the day, getting a kick out of the doctored photo of herself with Alan Vincent. Photo by Karen Salkin. And, on this opening night, I had written that the guy who played The Bandleader in the club, (who I had erroneously thought was the maitre d’ or a waiter) was charming before I even realized that he was also Alan! 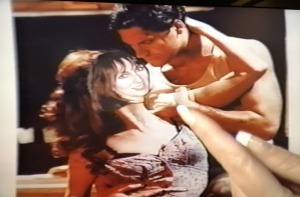 Who knew that a guy who had previously danced one of the sexiest roles ever could be so amusing?! There’s so much more gray, but this image will have to to do for now. Photo by Johan Persson. Karen Salkin’s nails with the Cinderella program. Photo by Mr. X. And who doesn’t love a mirror ball?! 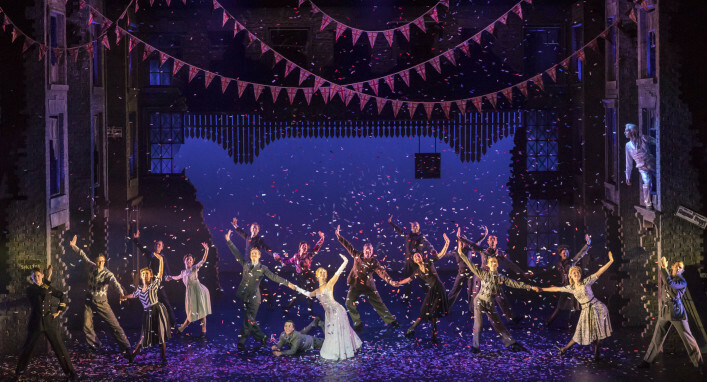 And, to end it all, this is the absolute best, happiest, most dancey curtain call ever!!! And it’s all done in tune and in time with the 1940 Glenn Miller hit, Pennsylvania 6-5000, which had the entire assemblage bopping along. Photo of the curtain call by Johan Persson. 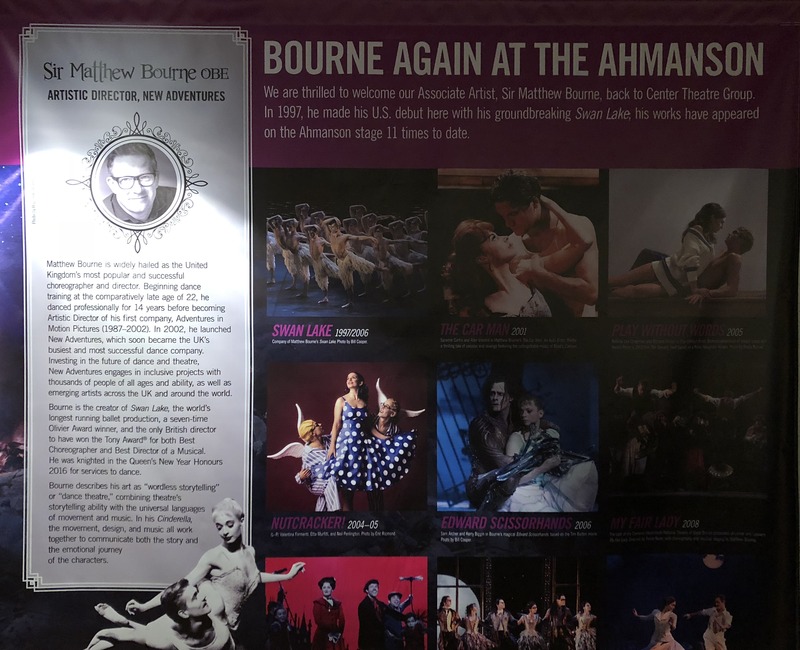 Now I can’t wait to see what Matthew Bourne does next! No matter what it is. (Especially if Alan Vincent is in it again, of course!) Hint—I hear rumors that it just might be Romeo and Juliet. So, no happy ending this time. Or maybe there will be one—you never know with Matthew! Which is just one of the many reasons I love everything he does!